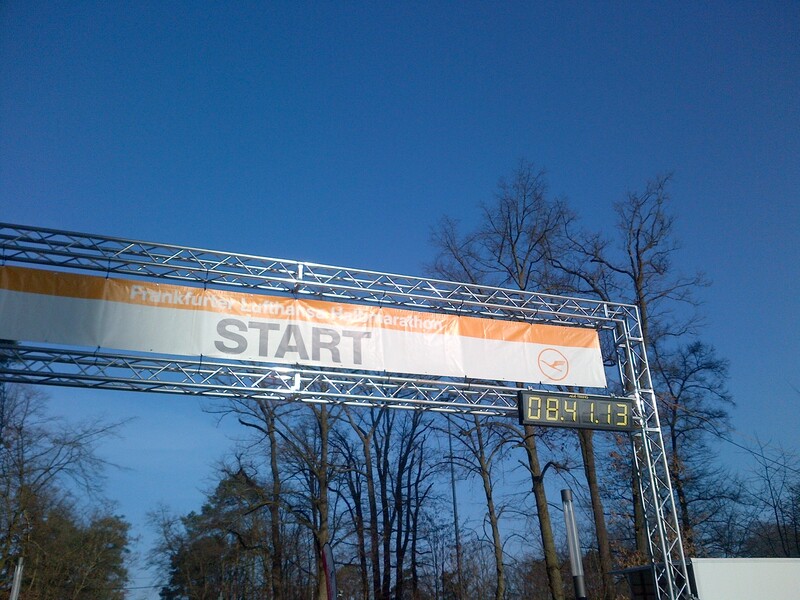 Frankfurt Half Marathon: Smooth start into the new racing season … (Race Report) | Running for … an ambulance. 1 h 29 min 38 sec – If someone had just offered to me this result a week ago I would have accepted it immediately. With my bruised rips and nearly 2 weeks without any running training? Sure. Great. So this year result almost corresponds to the second to my recent Frankfurt best performance from last year. The day itself began simply superb. We had perfect weather for a run. The sun came out already in the morning – at 10:00 it was still a little bit chilly. No risk of over-heating. 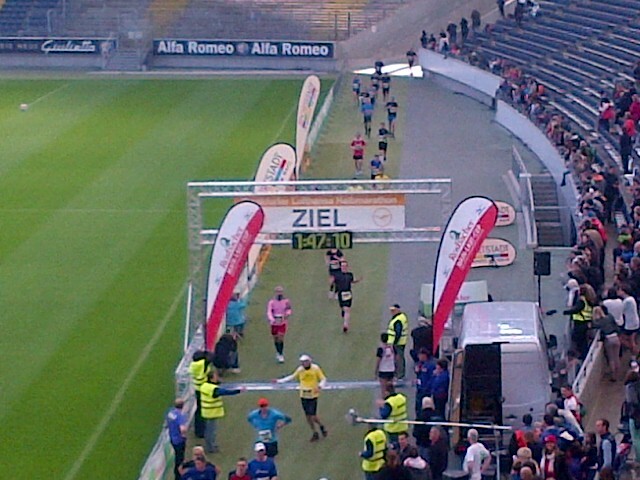 The mood at the Commerzbank – Arena was great before the start, about 5,000 participants. Like the soccer pros we could change in the “Eintracht” cabin. At 10:00 the elite field started and only 3 minutes later it was my turn. So down to the river Main it worked quite well. I could stand the pace and have been placed somewhere between the pacemakers with the 1:24 and 1:29–balloons. At 15k things became much harder. The missing workouts started to slow me down … But the ribs have been fine, by the way. Only when I saw the signal announcing the 20k distance, I knew that it may be fast enough for a time under 1:30 . Over 21k I was really running close to my limits – for the children in Senegal, for our sponsors and donators. Today, we could earn 21 x 25 come EURO for the ambulance. THANKS TO ALL WHO HAVE DONATED FOR OUR PROJECT! Dieser Eintrag wurde veröffentlicht in Allgemein, NEWS: Wettkampf am 10. März 2014 von runningfor112. 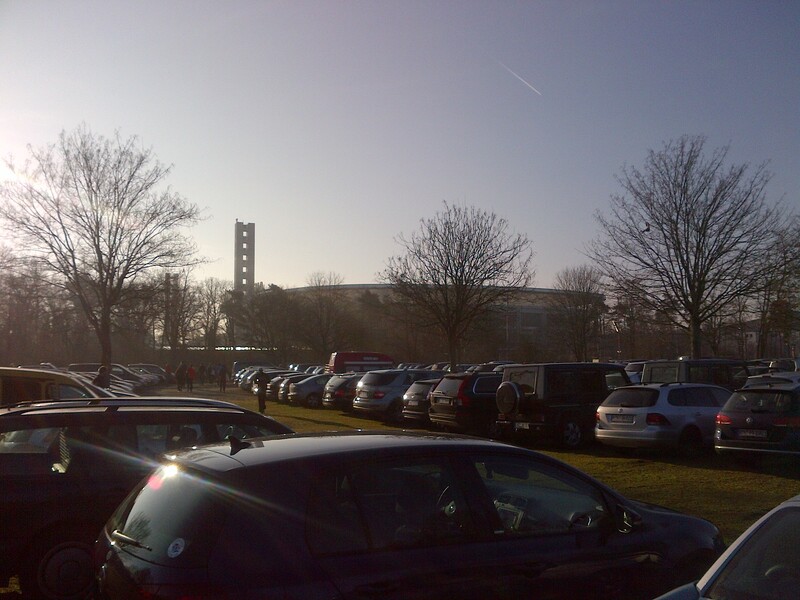 Pingback: Skoda Velotour: Cycling through Frankfurt and Taunus (Race report) | Running for … an ambulance.